OCT-Features Of moRphology, coMposItion anD instABility of culprit and not culprit coronary pLaquE in ACS patients. Cardiogroup FAIL2 and LEARN TRIAL Completed! 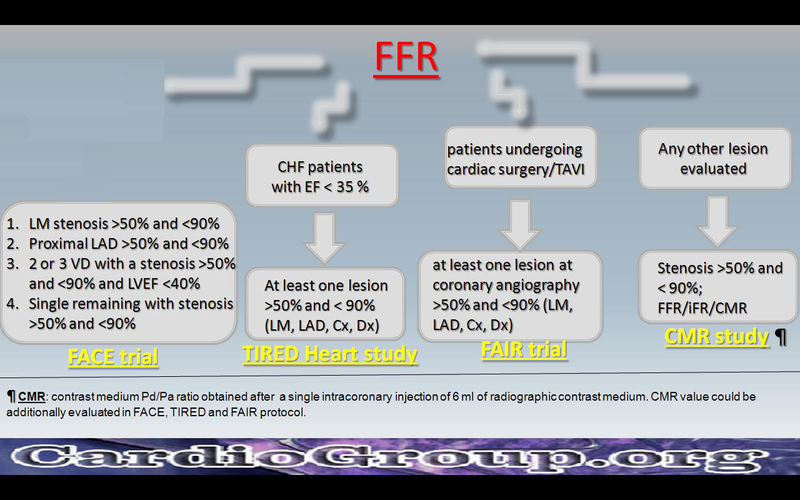 Flow chart of new FFR Protocols online! Write us to join the protocols! The LEARN multicenter trial is started on CardioGroup.org! Dr. James DiNicolantonio, pharmacist from Wegmans Pharmacy in Ithaca, NY: discusses his article appearing in the June 2013 issue of Mayo Clinic Proceedings illustrating a reduction in all-cause mortality and other benefits when using the amino acid, L-carnitine in patients experiencing myocardial infarction. Published April 2013. 15/1/2014 Eur Heart J @ Cerrato N.
P.Meier MD, Interventional Cardiologist - The Heart Hospital, University College London Hospitals UCLH, UK. Italian Cardiologist of tomorrow Idea promossa ed incentivata dalla Societa' Europea di Cardiologia (ESC), sotto la guida della Federazione Italiana di Cardiologia (FIC).con lo scopo di creare un gruppo di giovani cardiologi che rappresenteranno il futuro della cardiologia di domani in Italia ed all'Estero.